It’s that time again, the time for vExpert submissions. So far I count roughly 11 different blog posts associated with the release this week. It looks like there have a been a few changes so please go take a look at any of the posts in this weeks vExperts Weekly that detail the new changes. 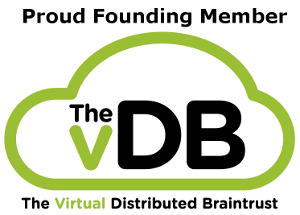 I’ve written about the vExpert community over the last few years, primarily around the Community aspects and their impact. Given the success of the program from the VMware perspective, I’ve seen other vendors work along the same lines to build up and create Champions, Citrix, EMC, Microsoft, Pernix Data, Veeam, etc. many have programs that recognize the various contributors in some way. As for me, this week finds me at VMware Partner Exchange (PEX) where I will be meeting with some key partners regarding this coming year. PEX is a totally different animal compared to a VMworld. Given that its not the kind of open exchange of ideas and wares that is associated with a VMworld. Shameless plug time: if you are interested in where we (SimpliVity) see the future of the datacenter and converged infrastructure, please come attend our session: Boundless Revenue Opportunities in the New Era of Converged Infrastructure. Also it’s not too late to register for tomorrow nights kick off party as. One last plug, if you are a partner interested in learning more we have private one on one sessions available throughout the week.